Hey, ya'll! I'm back today with another fashion post but this one is special. 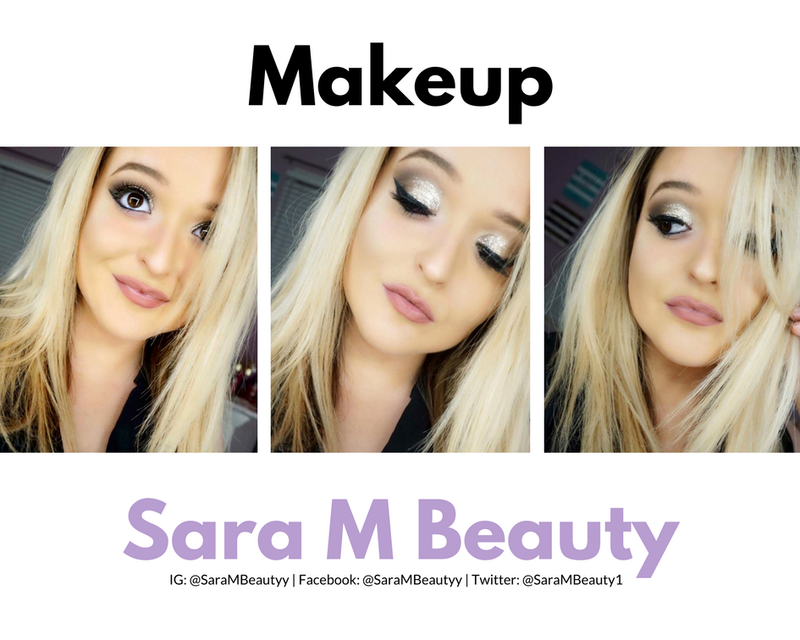 It is my first ever blog collaboration with Sara May from SaraMBeauty. We decided to do a date night look featuring makeup and a complete outfit. But first, let me introduce you all to Sara! Hello, Beauties! My name is Sara May, I am a New York-based beauty blogger. I have always had a passion for all of the things that make us feel beautiful and confident! I first realized that I had this passion, at a very young age, I was constantly sneaking into my mom's makeup bag, playing with all of her makeup, trying to use her curling iron, and walking around the house in her high heels... now that I am 24 years old, my passion remains the same! I'm obsessed with all things beauty... makeup, skincare, hair, nails, and fashion are my life! I am so excited to share my passion with the world through my blog! I find so much happiness in helping others feel beautiful and confident in their own skin! 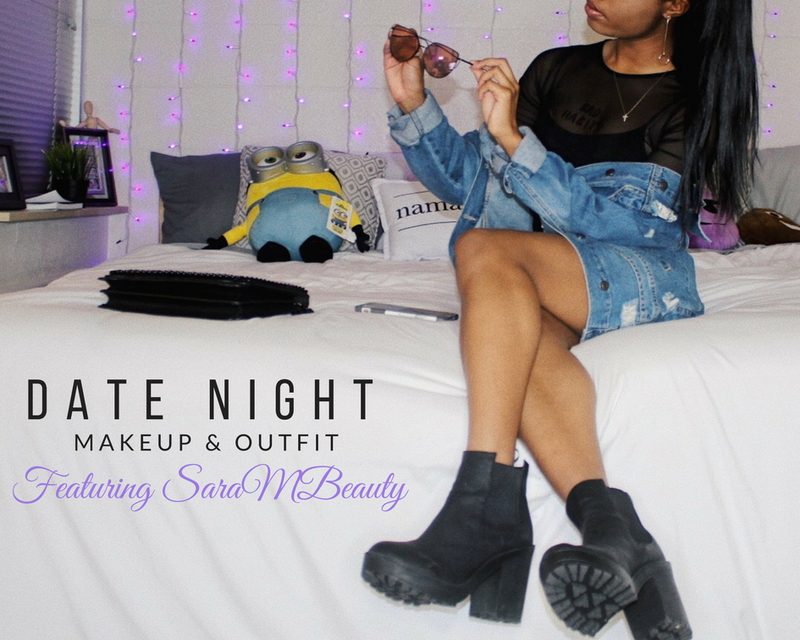 With that being said, I am so excited to be doing this collab and to help put together this date night look! Now let's talk about my part of the collaboration... the outfit! I know, I know. It's another all-black outfit. But hey! It's my absolute favorite color to wear. I think It looks good on everyone no matter the skin color or body shape. I did not have any inspiration for this outfit. I wanted to be super comfortable but stylish. Every item I'm wearing is affordable and under $50. 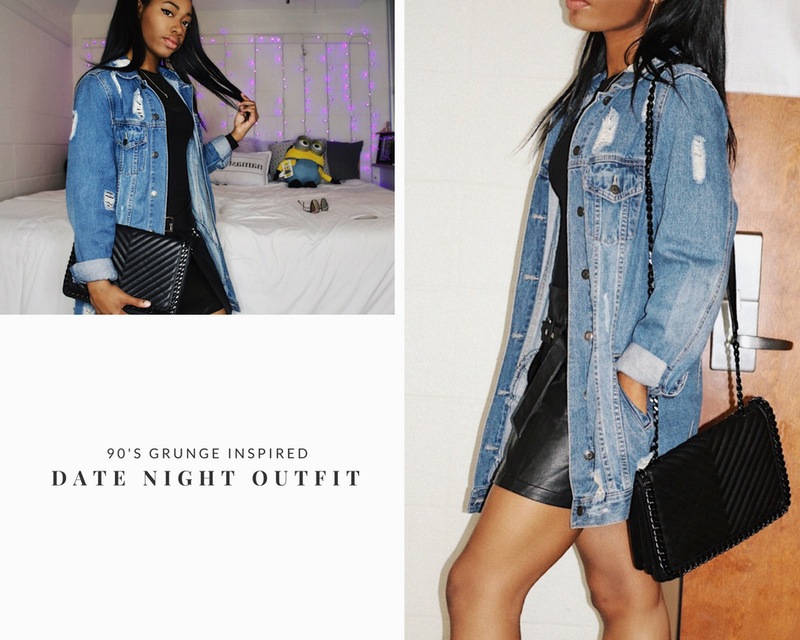 This outfit gives off a rocker 90's vibe to me and I love it. My favorite piece of this outfit is the bodysuit. The stitching on the front says Bad Habits. It's a long sleeve mesh bodysuit but I do recommend to wear a black camisole underneath in colder weather. I also layered it with a thick distressed jean jacket. I kept the outfit super plain because I wanted the gold makeup to be the main attraction. I hope you all enjoyed this post, be sure to follow Sara on all her social media accounts for beauty. Tell her SxmplyCAS sent you! Comment below what you would wear for a date. As always, stay blessed! Thank you for stopping by and checking out my blog!